Jilted [from Italy] continue the Italian HC classic tradition with a cocktail of Wretched and Impact roots and some histeric Japanese sound plus in your face political lyrics. 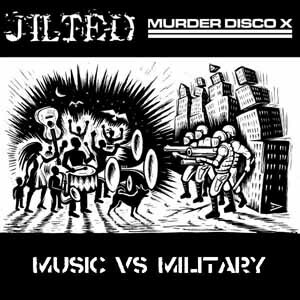 Murder Disco X [from Germany] play a strong direct hc a la early Resist with short and straight to the point songs and a lot of stop and go action! Pay attention!!! In the powerfull breaks you will find yourself sing the chorus alone in you room with the finger up! Kelly ex Resist, Detestation, Severed Head Of State, Defiance ecc. on drums here!